Wavepad is a complete sound editor for both the OS, mac and windows. It helps in editing every type of audio recording, music files. 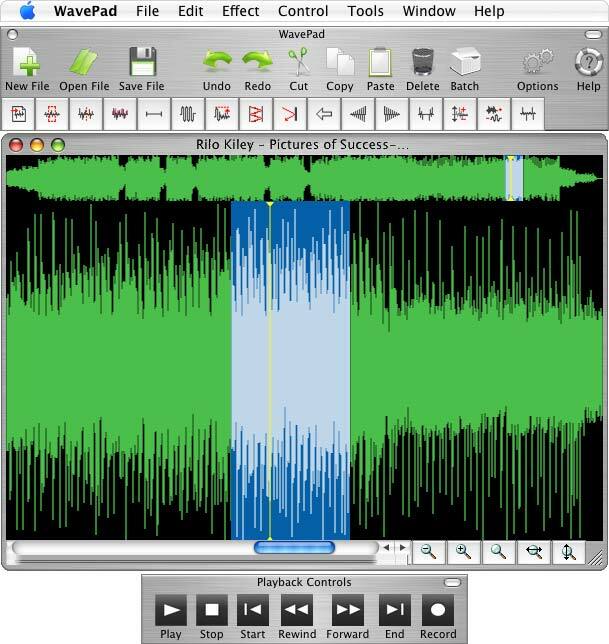 Things like cutting the mp3 files, copying and pasting within the file and also adding some special effects like echo, noise reduction and amplification is possible with it. 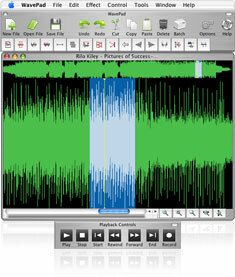 Some file types which are supported are mp3, wav, vox, gsm, real audio, au, aif, flac, ogg and others. So no much restriction in music file types. Supports a number of other file formats including wav (multiple codecs) vox, gsm, real audio, au, aif, flac, ogg and many more. Recorder supports autotrim and voice activated recording and more. Works directly with MixPad multi-track audio mixing software. Edit tracks for the Zulu DJ software. It works fine with any version of Windows from Windows 95 and in Mac, for version Intel 10.2 and later. I have been using Wavepad since last 6-7 years! After trying many other software for sound editing, i decided to stick on this magical software. In fact, i have the whole NCH Software suite. It consists of Wavepad, Sound Recorder, Streaming Software, Blu-Ray, DVD Writer, CD Ripper, Dictate Writer, etc. Yep Sharat, Ring tones can be made in a pretty easy way by just cutting the part of the song which u want to set. I am using this software it is soo good.. i have a very good microphone and i use this software to record when i play an instrument or when i sing 🙂 it records sound very well and very easy to use… i add an effects to my violin sound when i record hehehe just like echo it is so easy to use and very clean.. ! We’ve just released version 4.0 for Windows featuring a sweet new interface and a massive internal upgrade.